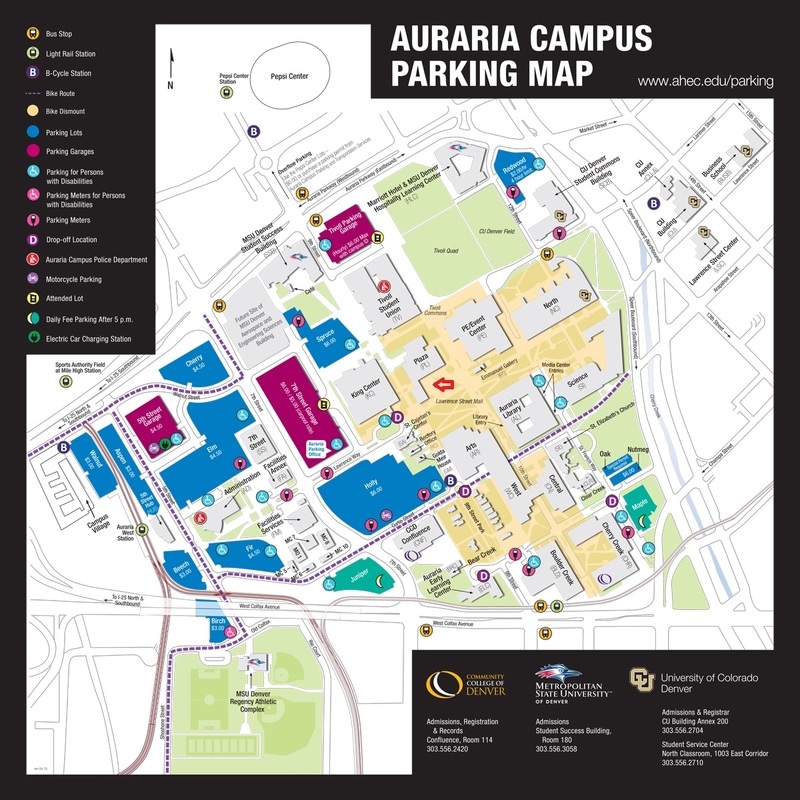 Meetings are held at the Auraria Campus in Downtown Denver. We are located in the Plaza Building (red arrow) just east of the King Center. Enter on the side facing West Colfax Ave and head up the stairs. Parking locations are on the map.